The Nzen'man' Child and Family Development Centre Society (non-profit, charitable organization) was created in 1993 after extensive community consultation regarding the need for quality child and family development programs. In 1995, Nzen’man’ partnered with the School of Child and Youth Care and the Nicola Valley Institute of Technology to deliver a community-based Early Childhood Education Program. As a result of this initiative, 11 community members obtained their license to practice as an Early Childhood Educator in BC and received their diploma in Child and Youth Care. 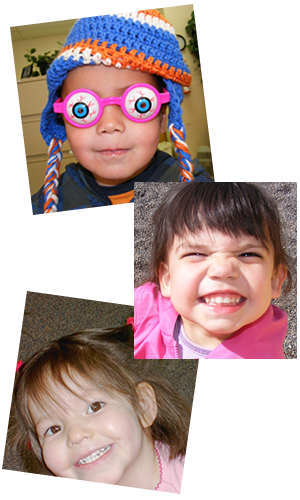 In 1996, Nzen’man’ opened a 43 licensed space child care facility located in the lower level of the Lytton Elementary School and from 1996 – 1999, we began to offer additional programs and services such as: Home Portage, Infant Development, Prenatal Outreach, and Family Place Drop-In. Since 1999, we have added the Aboriginal Supported Child Development and Aboriginal Infant Development Programs as well as offered professional services to various community, provincial, and national organizations. As a non-profit charitable organization, we have an active 7 member Board of Directors. Each Board Member is elected by members of the Society for a two year term.